The evolution of mine-resistant trucks is continuous and unrestricted. This year’s newest attempt at a modular 4×4 MRAP is called the Viper from Mobile Land Systems, a company based in Ras al Khaimah, the UAE. The Viper features all the essentials found in military 4×4’s today–independent suspension, Allison automatic transmission, and very thick armor–but subscribes to an appearance far removed from MRAPs that came before. In fact, recent 4×4 multirole trucks are assuming a “clean” design unencumbered by sharp angles and bulky sections. The Viper is part of this emerging trend and looks poised for serious mileage, physically and commercially. After a prolonged gestation period, Mobile Land Systems have announced the Viper’s “pre-production” status and are keen to sell it as a modular troop carrier that does any job required of it. Weighing nine tons unloaded and strong enough to huff an additional 2.5 tons in cargo, the Viper boasts STANAG III ballistic protection that withstands gunfire from AK-47/AKM’s, SVD’s, and PKM machine guns. 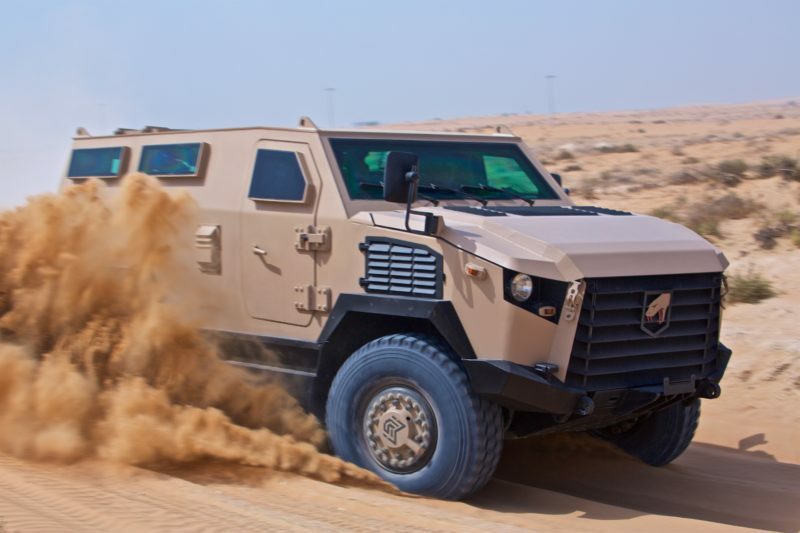 The welded steel monocoque hull is strong enough against level 3b roadside bombs and for greater survivability, a combination of air conditioning and CBRN filters allows the occupants to survive extreme desert heat and battlefield toxins. For a winning customer experience, Mobile Land Systems lets end users choose between a 400 or 450 horsepower Cummins V6 turbo-diesel engine. According to the Viper’s product literature, its top speed is 120 kilometers per hour and its range on a full tank reaches 1,000 km. Seating inside the vehicle accommodates 10, including the driver, and blast protected seats are available upon request. Other safety features are an interior fire suppression system, runflat tire inflation, and any communication and detection equipment needed for hostile environments. Combat optimization is enhanced by two panels and circular hatch on the roof. Since Mobile Land Systems has a catalog of vehicle turrets for various large caliber weapons (a role described as “firepower support”), the Viper was designed to accommodate these together with the proper countermeasures like smoke grenade dischargers, external cameras, or IED jamming devices. 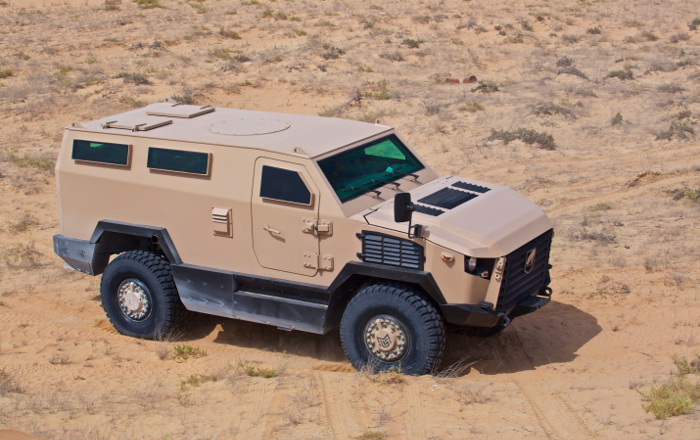 Mobile Land Systems are also prepared to build the Viper into an ambulance or reconnaissance and surveillance vehicle if these are needed by their client. With the Middle East teeming with wheeled armored vehicles, it may take a while for the Viper to establish its reputation. But judging by Mobile Land Systems’ success in tough markets, this MRAP could be rolling to battle sooner rather than later. Another advantage is being a better choice than the battered trucks leftover from the US’ misadventures in Afghanistan and Iraq. ← Why Attend FEINDEF 2019 In Spain?